Through the skillful use of fiery colors, this 18th century Turkish Smyrna Oushak rug conveys a unique sense of presence and warmth. 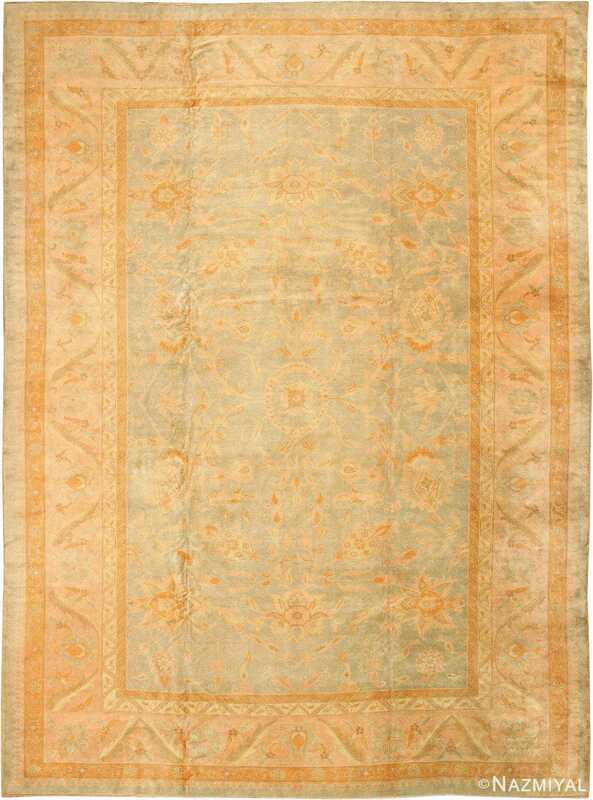 All of the elements in this early rug come together in both contrasting and complementing ways. 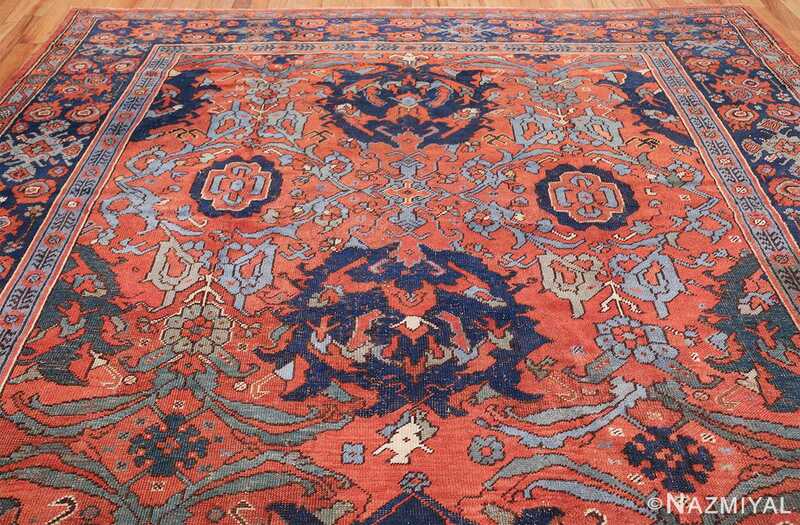 The artist behind this rug, draws attention to each individual motif by allowing the vibrant colors to stand against each other. Warm reds work with cool blues to convey a sense of motion and depth. 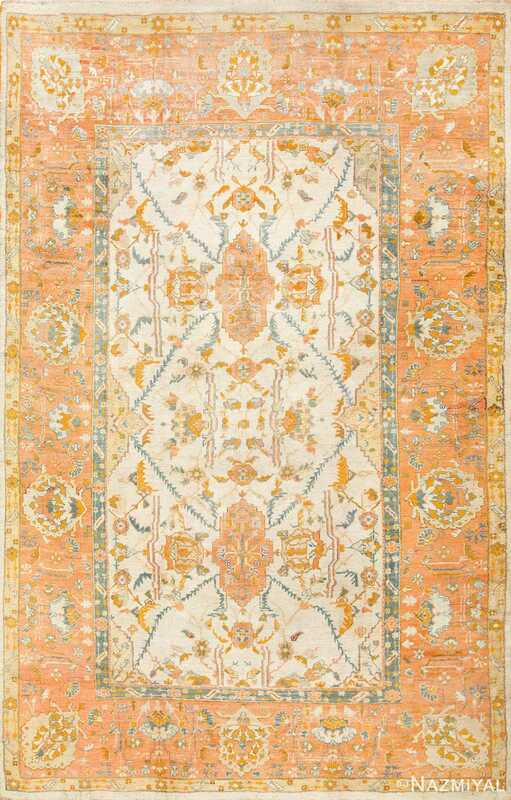 At the core of this beautiful 18th century antique Turkish rug, are several blossoms surrounded by sage green vines and stems, which move with graceful purpose as they fill the negative space of the background. 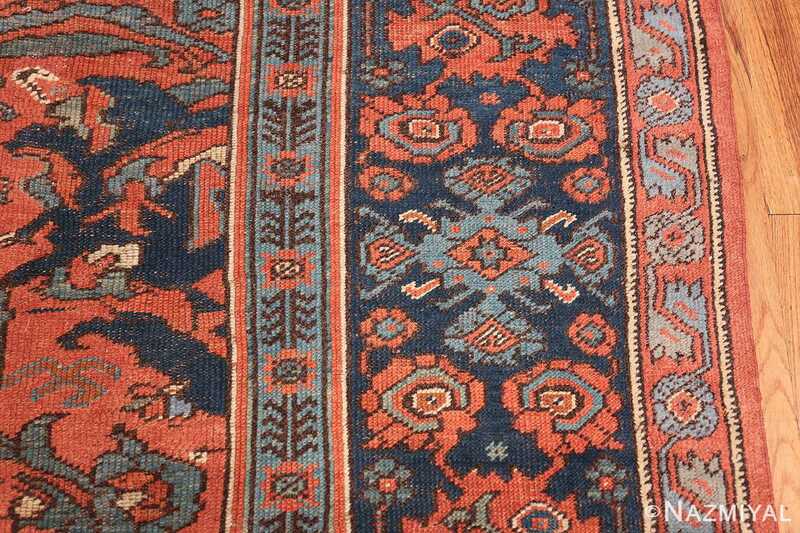 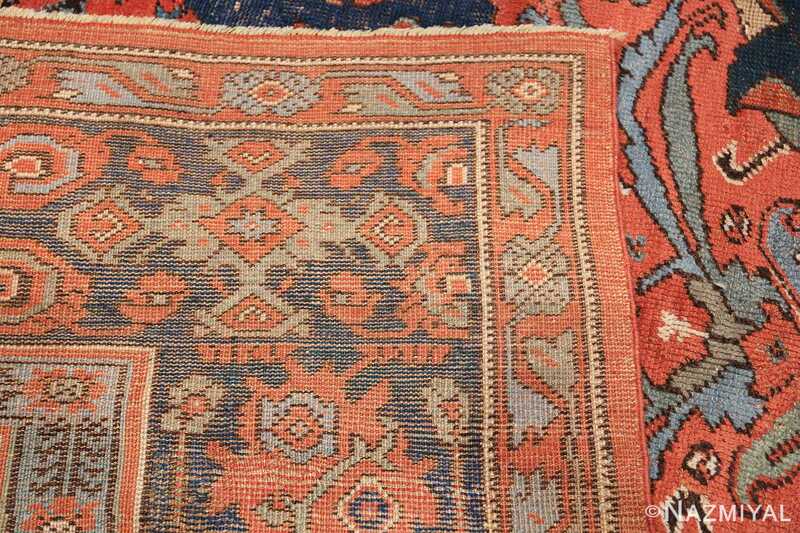 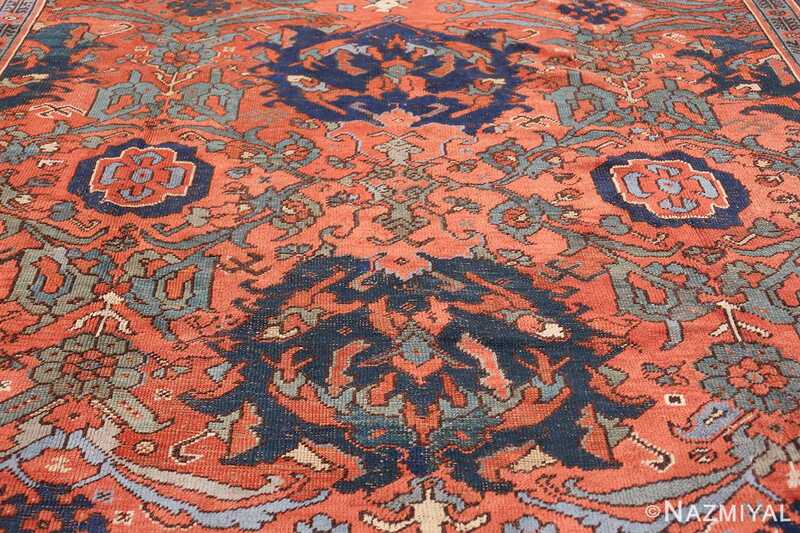 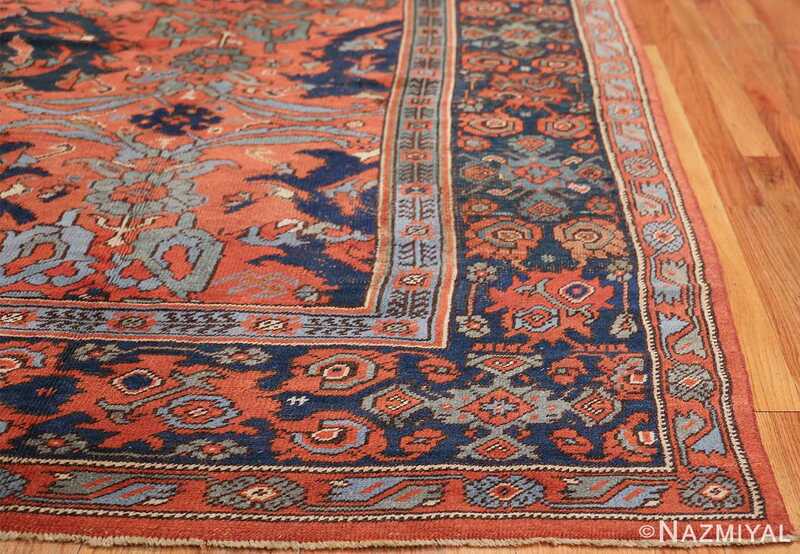 An historical artifact in its own right, this antique Oushak rug is as beautiful and decorative today as it was when it was first woven, over 200 years ago! A Beautiful 18th Century Antique Turkish Smyrna Oushak Rug, Country Of Origin / Rug Type: Antique Turkish Rug, Circa Date: 18th century – The glory of the great Ottoman Empire is evident in this antique 18th century Turkish Oushak rug. 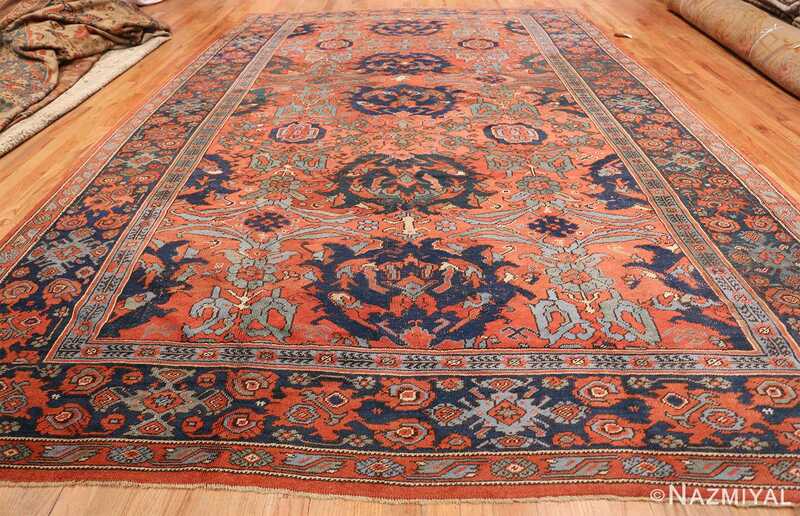 Smyrna was a center of commerce in the 18th century, and the antique rugs from this area were as highly desirable then as they are now. The magnificent reds and blues of this extraordinary 18th century Smyrna carpet are well preserved and the colors are just as vivid as they were the day this Turkish carpet was produced several centuries ago. 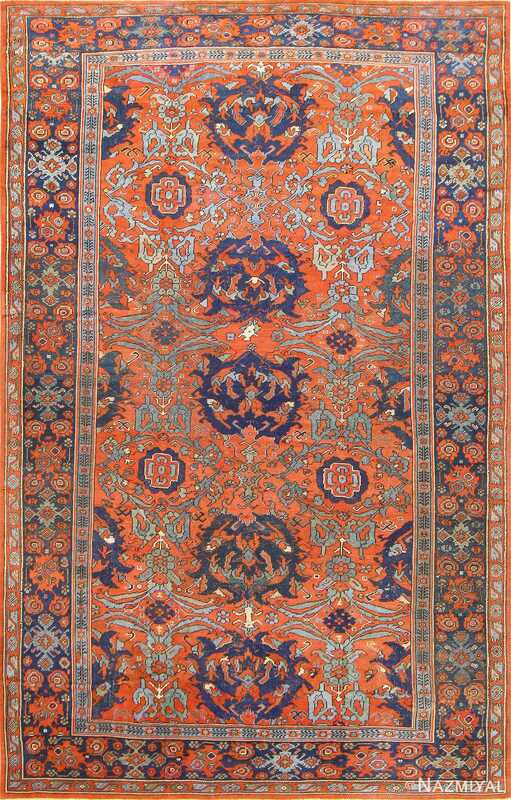 The early rugs of the Ottoman Empire were designed to occupy large spaces, such as palaces and the halls of public spaces. Bold, large scale geometric designs were used to make large spaces appear even grander. This specific antique 18th Century Turkish Smyrna Oushak rug uses a repeating pattern that is not centered vertically. 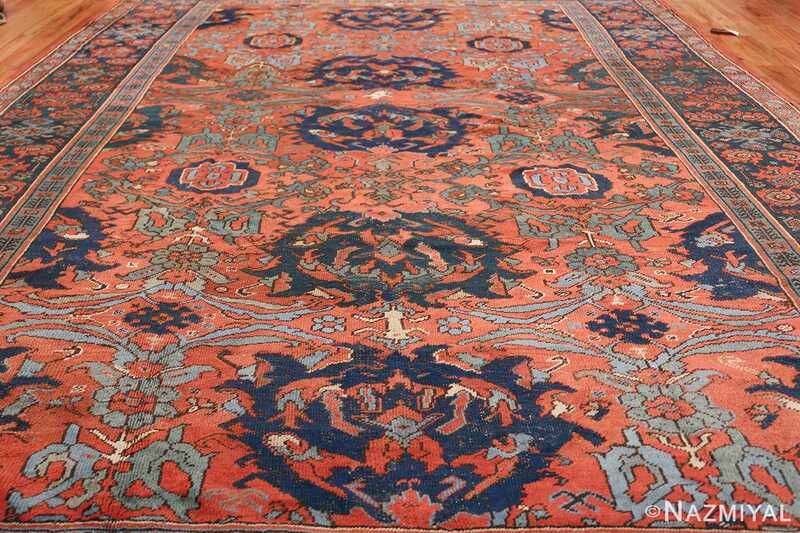 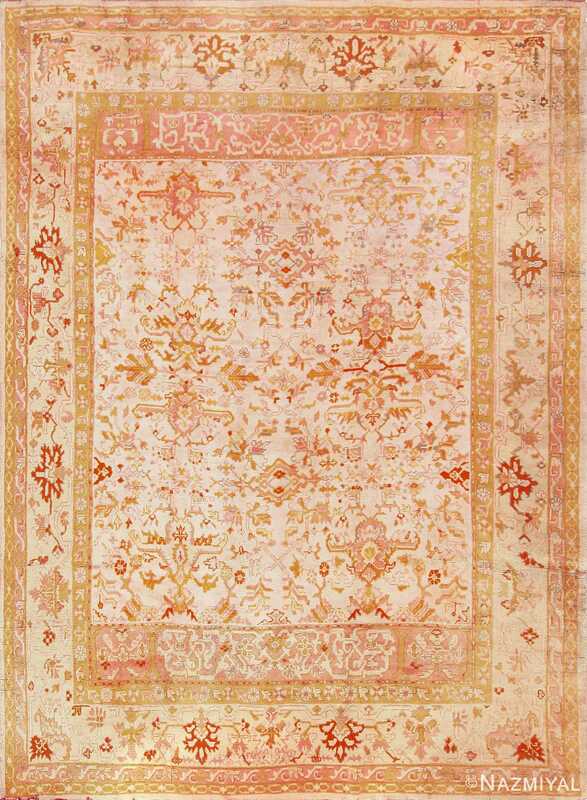 However, this 18th century carpet does have vertical symmetry, which gives it the appearance of length. 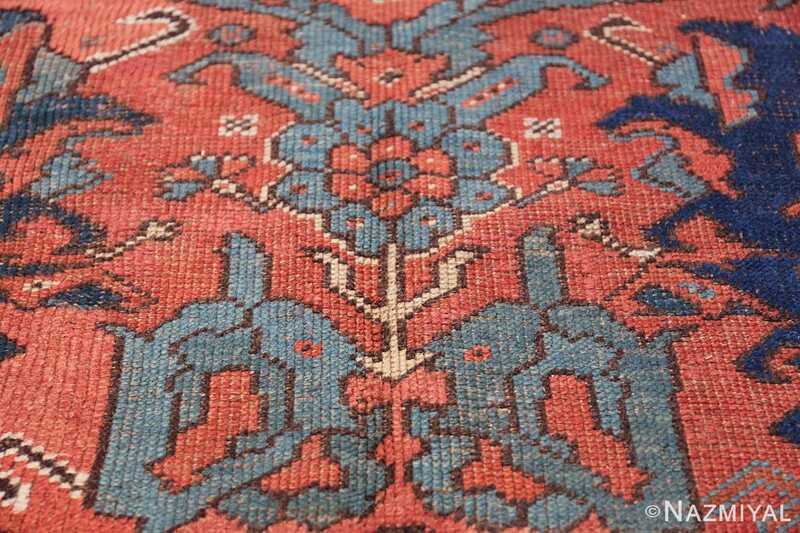 Another detail that the artist used to give the illusion of grand scale is that the artist began the next repetition of the pattern at the top of the Turkish rug but did not complete it. 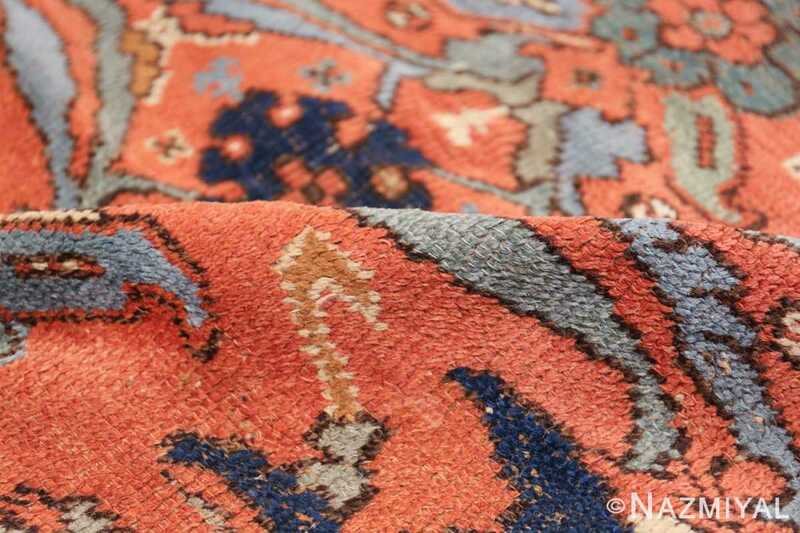 The design visually extends beyond the confines of the space both horizontally, and vertically. 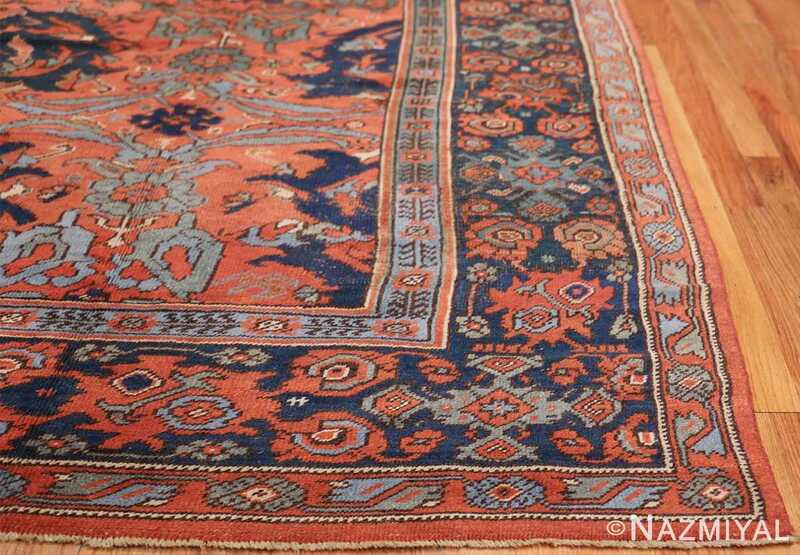 The used of saturated reds and blues of this antique Turkish Smyrna rug make it a spectacular decorative carpet with an elegant and traditional feel that holds a special place in the history of the Ottoman Empire. Reminiscent of the carpets one would expect to see in the iconic Holbein paintings, this work provides a sense of the magnificent art work that was being produced during this time. This Turkish Smyrna carpet is a rare and well-preserved piece that would make an excellent addition for the serious collector.